If the grid went down, how would you find someone on the other side of the country? How would you find hope? After a global economic collapse and failure of the electrical grid, amid escalating chaos, Carson, a high school teacher of history who sees history bearing out its lessons all around him, heads west on foot toward Beatrix, a woman he met and fell hard for during a chance visit to his school. Working his way along a cross-country railroad line, he encounters lost souls, clever opportunists, and those who believe they’ll be delivered from hardship if they can find their way to the evangelical preacher Jonathan Blue, who is broadcasting on all the airwaves countrywide. Meanwhile, on the other side of the country, Beatrix and her neighbors turn to one another for food, water, and solace, and begin to construct the kind of cooperative community that suggests the end could, in fact, be a promising beginning. But between Beatrix and Carson lie 3,000 miles. With no internet or phone or postal service, can they find their way back to each other, and what will be left of their world when they do? The answers may lie with fifteen-year-old Rosie Santos, who travels reluctantly with her grandmother to Jonathan Blue, finding her voice and making choices that could ultimately decide the fate of the cross-country lovers. 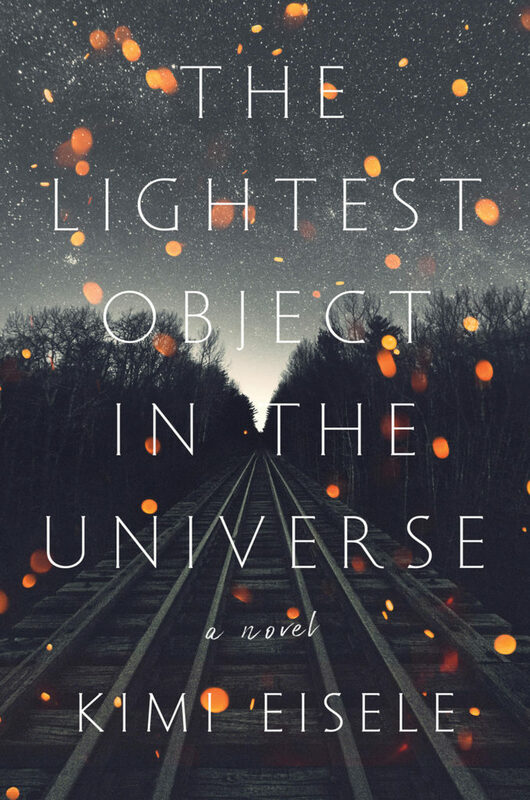 The Lightest Object in the Universe is a story about reliance and adaptation, a testament to the power of community and a chronicle of moving on after catastrophic loss, illustrating that even in the worst of times, our best traits, borne of necessity, can begin to emerge.